Setting up food for a party or get together can be stressful when you’re trying to be healthy but an Australian chef has shown that it can be a breeze. Ex-Masterchef contestant Callum Hann, has shared his tips on how to make a healthy but enjoyable party spread. Callum revealed that all it takes is making small swaps and changes in a dish to make it a lot better for you. In a food processor puree chickpeas, garlic, olive oil, lemon juice, tahini, cumin, and a teaspoon salt until smooth and creamy. Add 1 to 2 tablespoons of water as necessary to achieve the desired consistency. Drizzle with olive oil and sprinkle with the paprika before serving. When it comes to party food dips are often one of the first go-to foods that people purchase. Unfortunately creamy dips can often be hidden with sugar and extra calories so when standing in front of the dips section choose cleaner tubs. ‘Instead opt for some simple but tasty dip options such as hummus, guacamole or a beetroot tzatziki,’ Callum, who is also a Philips Kitchen Appliances Ambassador, explained. Even better than that you can easily make dips at home. Whipping up guacamole only takes minutes and homemade hummus only requires chickpeas, tahini, lemon juice, garlic and salt. Scoop out the avocado into a food processor. Add cocoa powder, vanilla, maple syrup and coconut cream. Process for 10 seconds. Scrape down the sides and process a further 10 seconds. If you want a bigger chocolate hit add melted chocolate and process for another 10 seconds or until creamy and smooth. Spoon into serving glasses or dishes. Fries are always a fan favourite but with lots of salt and oil this indulgent option is definitely not a health food. ‘There’s lots of ways to make this popular comfort food so much healthier, without spending a fortune or hours in the kitchen. Callum said he uses an airfyer to airfry a variety of veggies such as sweet potatoes, parsnips and carrots. This only takes a couple of minutes and doesn’t require the same amount of oil than regular frying does. Regular ice cream is often filled with sugar and fat, which is fine as an occasional treat, but there is an easy way to enjoy it without the guilt. 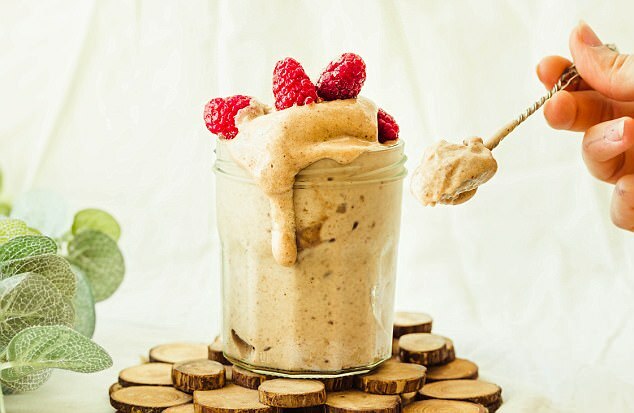 ‘Make your favourite ice cream that much healthier and simpler using ingredients like frozen bananas, mango or raspberries. ‘Simply place the frozen fruit into a food processor with a little juice, milk or coconut milk and blend for 30 seconds or until an instant sorbet forms,’ said Callum. He also suggested making your own healthy alternative to the regular nut mix. He said it would be best to use a variety of nuts and seeds such as macadamias, hazelnuts, almonds, pepitas and sunflower seeds. 1. Combine pepitas, sunflower seeds and coconut in a small frying pan over high heat. Toast, stirring, until coconut is fragrant and lightly golden. Stir in cinnamon and brown sugar then remove from heat. Tip toasted seeds into a small bowl and allow to cool. 2. 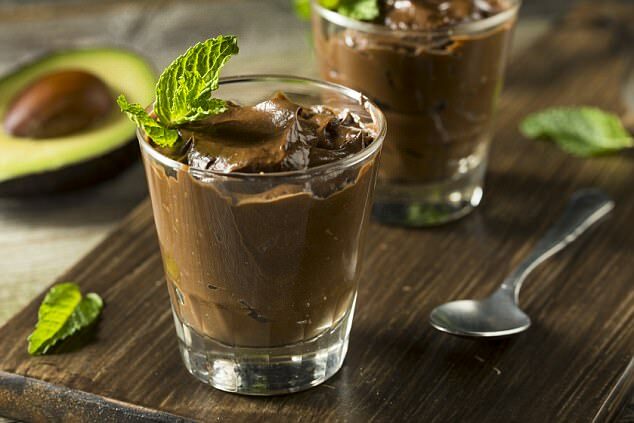 To make the mousse, combine avocado flesh, honey, milk, cocoa powder and vanilla in a small food processor and blend until very smooth. Stop the machine, scrape the sides down and blend again. 3. Spoon mousse into serving bowls or glasses. Top with orange segments and toasted seed. Serve. Callum’s tip: If you’re looking for that extra crunch, add some toasted nuts and seeds into the mixture.